Did she look familiar to me? If you don’t want to answer or nominate it’s OK. I just wanted to let you know I thought you deserve an award. Oh thank you so much. You are too kind. Yes, this is the real fairytale conclusion. Simple but powerful. Those lines carry an in depth message that I can spin in my mind for weeks to come. Lol Picked her gently and threw her out! I enjoyed reading! Good job you resisted. Serial offender. She was round my place last week trying it on. Haha. Be careful. She might come back. That took a wild turn! Haha Haha. I love it when you write things we wouldn’t expect. Everyone is used to lovey dovey and you throw in that dose of reality. Lol. Because, really, who would have kissed that frog??? Lol. They always think that familiarity will get you back…might have been the first time I was glad your window was still open. 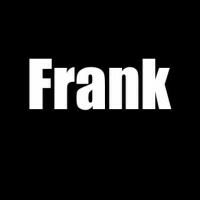 The best yet Frank. Funny… ^_^ I thought it would turn out that you kissed the frog so she turned into a princess.. Nah, this ending is better! Someone’s heart had to break. Especially with a frog who claims to be my wife. That’s what people do: throwing away “things”. Who needs past wives anyways? And when they keep talking about past lives… I dislike it when that happens! Nah. Too big a risk. Oh dear, there you go again! But did you kiss her? And….. I do not fall for such tricks. Haha. Prince? It was just me.